Imagine a world where we could be proud of ourselves for relaxing and letting go. A world where being able to breathe out was applauded as a great achievement. In such a world we would see taking care of ourselves and our needs as a great goal. Instead most of us live in a world where greater and greater deeds and accolades are counted as achievements. Worldly success is measured in pounds, dollars and targets rather than smiles and relaxed bodies. Imagine walking out across the soft silver sand and just letting go of all those worldly societal pressures. Breathing out, letting go, and breathing in the sense of release and space. There is nothing else to do in this moment, so let yourself relax and enjoy just being…. ….as you breathe in and out…..
leaving your unique footprints in the warm sand, watching the sun set in wild abandon over the horizon. There will never be another day quite like this one, and savouring it must be seen as a wonderful achievement. This entry was posted in mindfulness, relaxation, weekly photo challenge and tagged change, life, lifestyle, love, magid, mindfulness, nature, postaday, relaxation. Bookmark the permalink. Soothingly calm and warm, this post. You are so right. And the waves roll in – and then out again. Like the ocean, it’s breathing. Thank you. I’m breathing as I read and marveling at your photos … and at a world that celebrates taking deep breaths and letting go. I’m a big time achiever when it comes to this kind of stuff, Seonaid! 🙂 Your photos are pure invitation. Wonderful, walking and enjoying the moment together would be wonderful…..
Gorgeous shots! Looks as if you achieved a whole lot of nothing – well done! Beautiful, Seonaid. I keep reading things that are reminding me to .. s l o w .. down. Amazing how something which sounds so simple can be such a challenge! I was looking at footage of the snowstorms….wow…..we are still easing through autumn, with its mist and swirling leaves! Getting things into perspective is I suspect an ongoing life challenge! Everyday, Seonaid, everyday! I imagine this and many days, I do just this, jokingly saying someone has to balance out all the doing in the world (while meaning it ) 🙂 Doing ‘nothing’ but really living is way underestimated. Wonderful and beautiful post that does hold that relaxed space of simply being. Oh Seonaid, I SO LOVE YOUR WORDS!! You hit the nail square on the head. I’m with you 100%. Society has let things get SO out of proportion… where “stuff” is more important than people and connections. 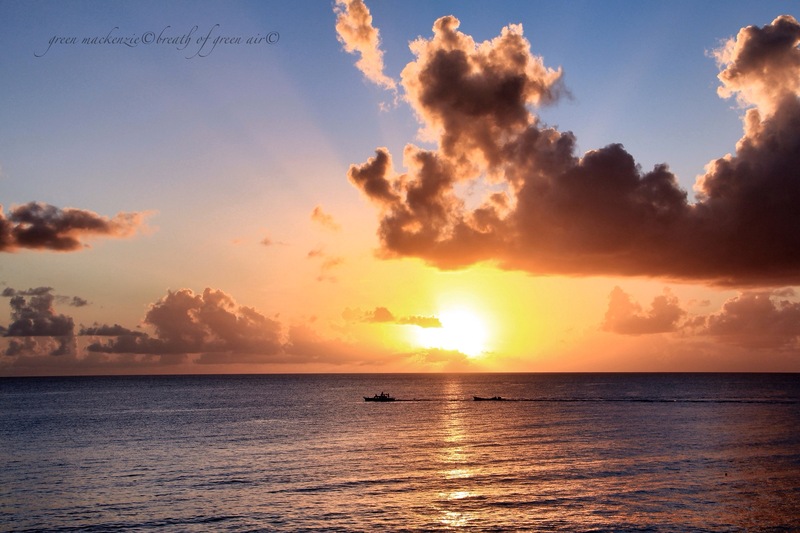 Barbados is a fun place, but where we ALL live can be fun and relaxing IF we allow it to be. ENJOY and RELAX!!! 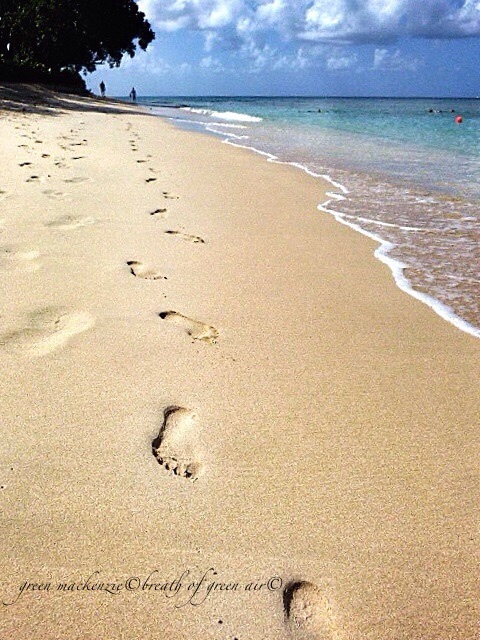 As always I LOVE your photography too… the footprints in the sand are perfect… allowing us to express ourselves as we ARE… not what others want us to be. Beautiful!!! Can it be too much? 🙂 Looks fabulous!